On many fronts, believers and non-believers find themselves occupying the same space. Some are married. Some are siblings. Some are friends. And many have found themselves tested by the differences between them. 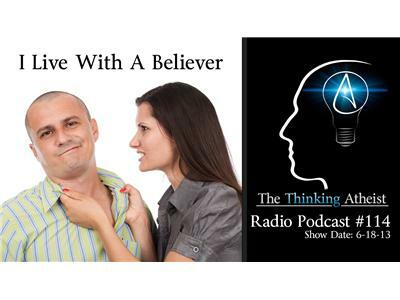 In this podcast, we talk to listeners who cohabitate with those of a disagreeing opinion on the issue of God, examining how (or if) those disagreements can be abided and/or overcome.